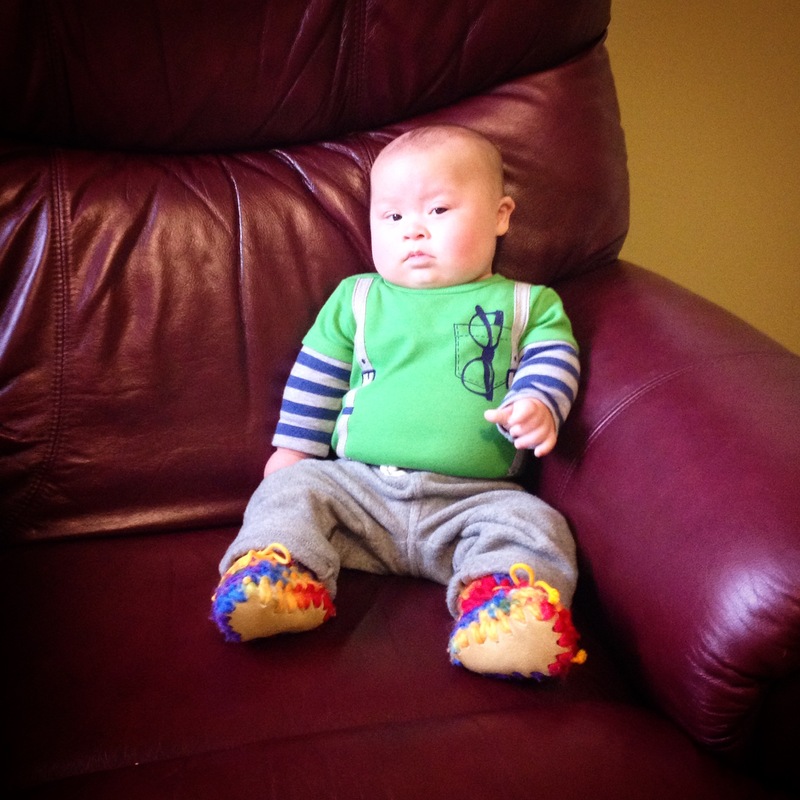 Even before our little man came into our lives, we had done a lot of research on Down Syndrome to prepare ourselves. 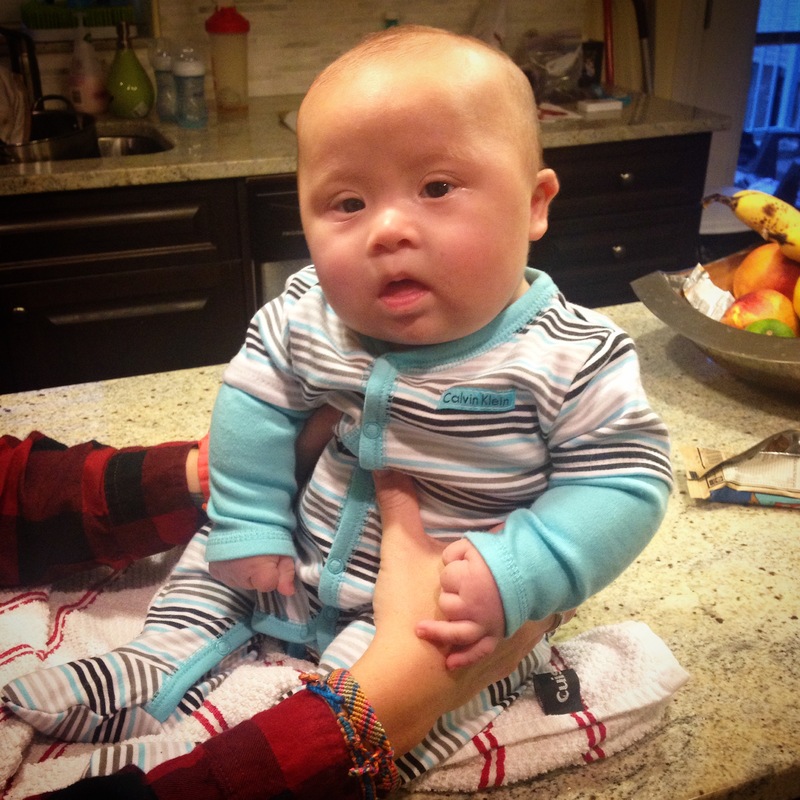 Since Jaxson came along I spend much of my ‘work’ day online watching you tube videos, reading blogs, and doing general research all to do with Down Syndrome. I can say that majority of the reading I have done is ‘up to date with the times’, however there is some pretty ridiculous ‘out of date’ info circulating. The one thing that absolutely shocks the shat out of me is the language used to describe Down Syndrome. I can’t even tell you how many times I have read “…..SUFFERING from Down syndrome”. WOW! Well I am SO thankful that someone filled me in that Jaxson is indeed SUFFERING! oh…. wait a second….. That doesn’t seems like a SUFFERING child to me…. hmmmmm. I’m VERY confused now. Maybe, just maybe Jaxson ISN’T suffering. Interesting…. Well now I feel like I must re-assess this situation and figure out what Jaxson actually does suffer from. I admit it. This kid does suffer from being excessively kissed, squeezed and snugged. I estimate that Jaxson gets smooched on an average of 3 477 645 896 times per day! The most smoochable areas being the top of the head, lips, cheeks, nose hands, fingers and toes. On occasion his scar, Buddha belly and his baby mullet get a good kissing. Jax did suffer from having to endure tummy time. At first it was met with grunts, groans, grimaces, and sometimes crying. However now tummy time has turned into a favourite play position. He can stay on his tummy for over an hour now, with smiling, and grabbing toys. So I guess he doesn’t actually suffer from tummy time anymore. Scratch that from the list. Unfortunately Jaxson will suffer from this for a LONG time! Once he is old enough to form his own style, I feel that all the years of Jax having to have suffered this will have payed off and he will continue on being a well dressed young man. 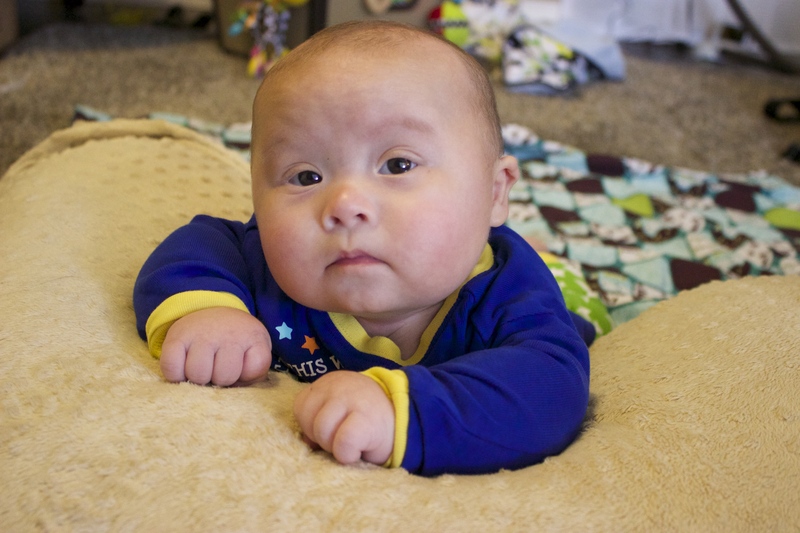 Jaxson DID suffer heart failure from a condition called AVSD which has a higher incidence of occurring in children born with Down Syndrome, but isn’t exclusive to DS. 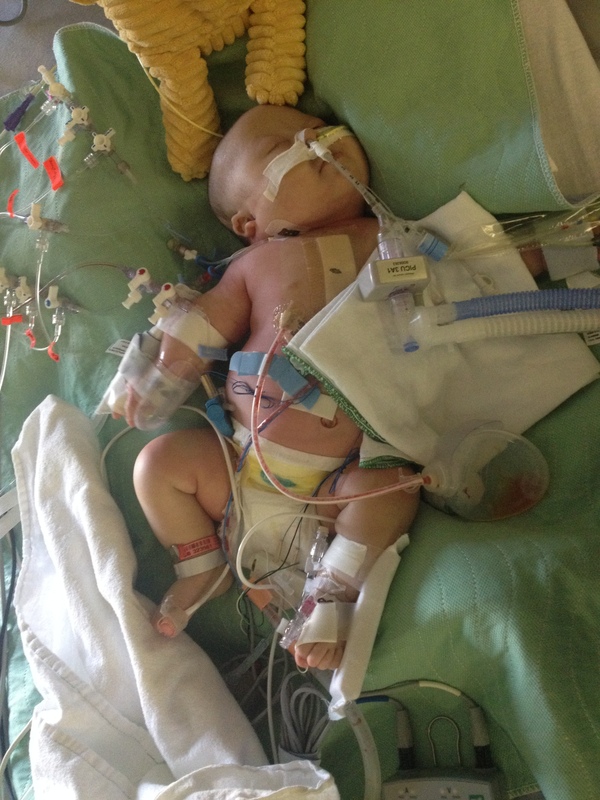 However his heart is repaired, he’s off oxygen and no more NG tube. So I think it’s safe to say that he no longer suffers from having a congenital heart defect. Scratch that from the list as well. Unfortunately another thing he will have to suffer from for his entire life! It’s the price he has to pay for being so damn cute!! However his dogs are thrilled that the lens is being turned from them from time to time to capture their brothers beauty. Finally we have discovered the root of all of his sufferings!! Jaxson has and always will suffer from a condition that makes him absolutely beautiful. Unfortunately for him he will never grow out of this and he will have to learn to live with this horrific condition. After deep thought and much re-evaluating I have determined that Jaxson does not suffer from Down Syndrome. Next time you read some absurd literature on people suffering from DS, please keep this little guy in mind. 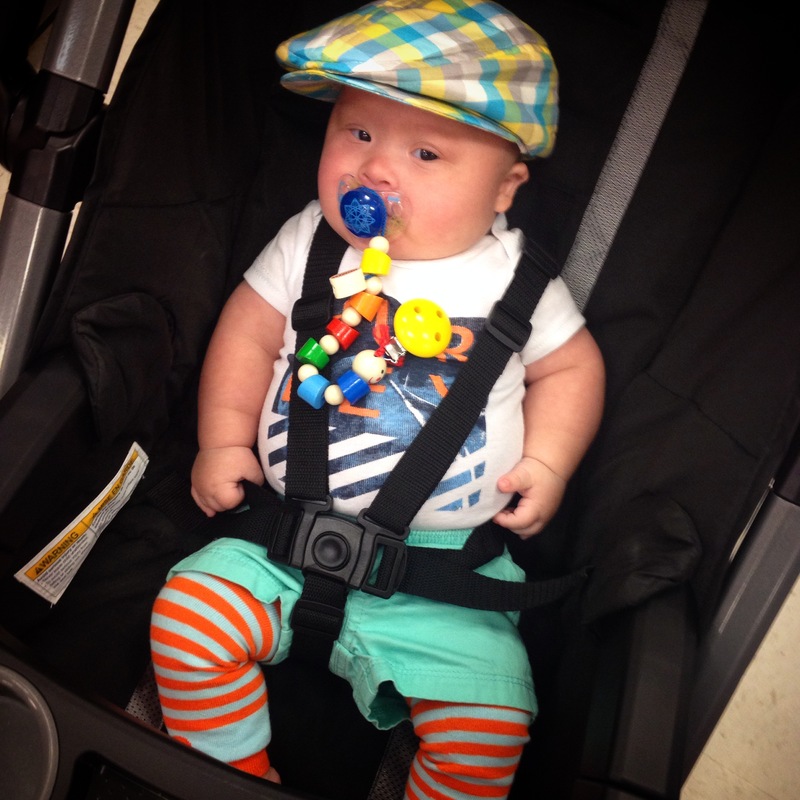 Jaxson does have things in life he will have to suffer just like any typical kid, but he won’t suffer Down Syndrome. The “suffering” blog is absolutely wonderful!!!! You have indeed, so eloquently, re-phrased “suffering”! Bravo!! Just discovered your blog via CBC radio interview. Jaxson is so so adorable! I am a retired maternity nurse and love all things baby related. 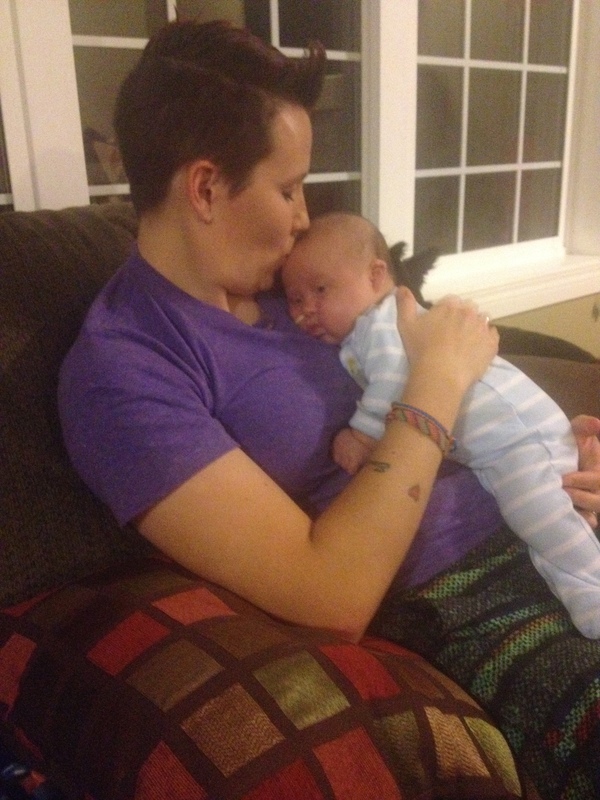 Have read your entire blog and look forward to keeping up to date on your sweet little family. I began to follow your blog after hearing you on CBC. Fantastic blog and especially wise words about suffering. I grew up with a cousin with DS who passed away in his 40’s a few years ago. He was so incredibly loving and loved by all and changed his parents’ lives, not to mention his siblings. There’s a Jewish word, “beshert” (I’m probably spelling it wrong), and it means “meant to be”, and that’s what it sounds like with little Jax coming into your lives. Many blessings to the 3 of you. I’ll look forward to following your blog! Love it! Our kids absolutely “suffer” from being ridiculously adorable and loved for it! I’ve been following your blog since stumbling across you guys under the #downsyndromerocks hashtag on Instagram. The suffering piece brought a tear to my eye. My wife has come around to the idea of us adopting a Down syndrome child/baby/young adult with a little help from your blog.